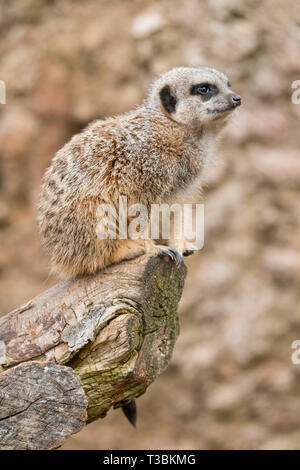 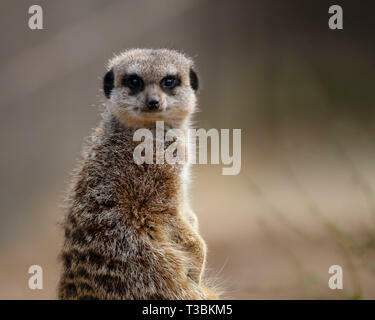 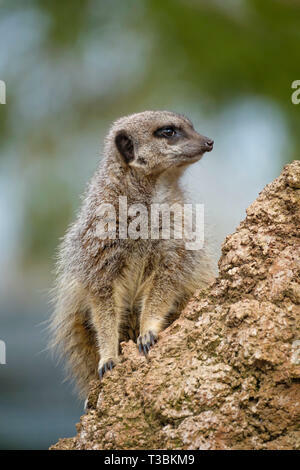 A meercat stands guard over the mob. 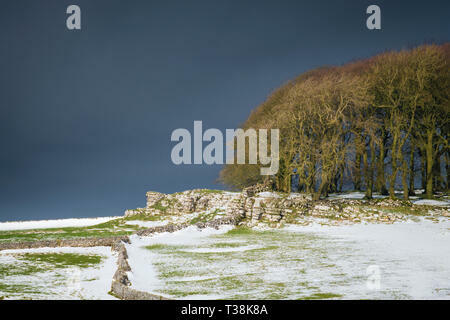 A small copse of trees in Derbyshire as a snow storm approaches. 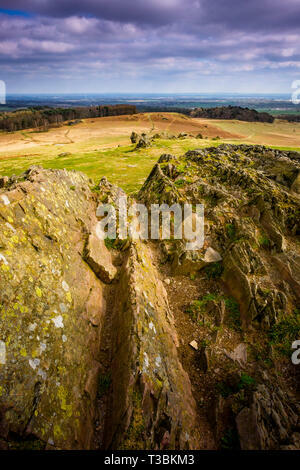 Looking out over the Precambrian rocks of Charnwood Forest. 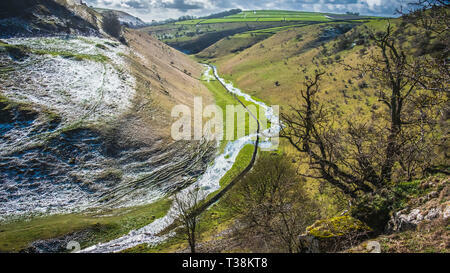 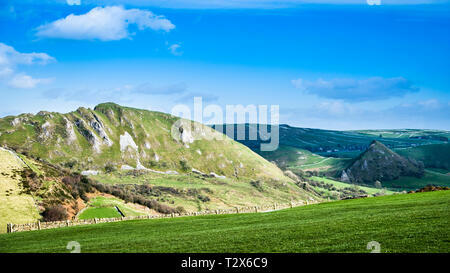 A valley in Derbyshire which is dry in summer has a stream running through it after a period of rain. 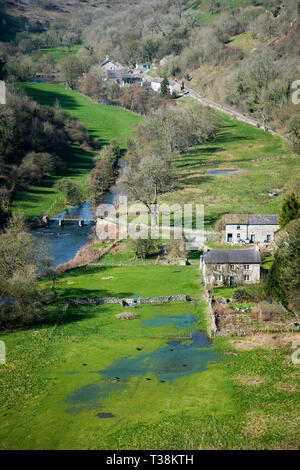 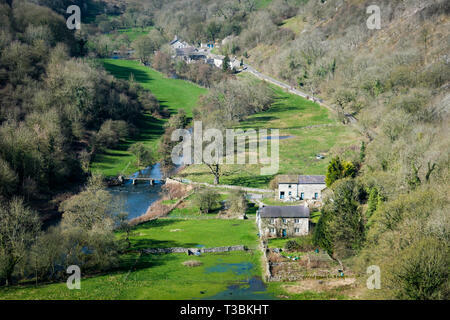 Monsal Dale and the River Wye in the Derbyshire Dales. 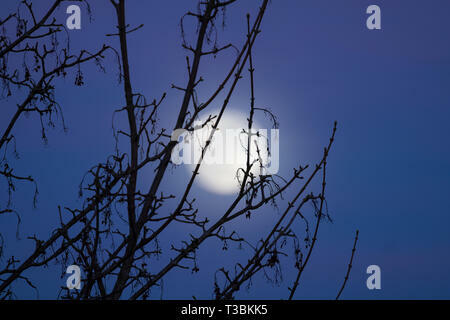 The moon rising behind a tree against a blue sky. 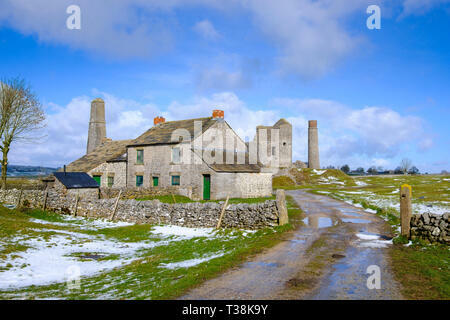 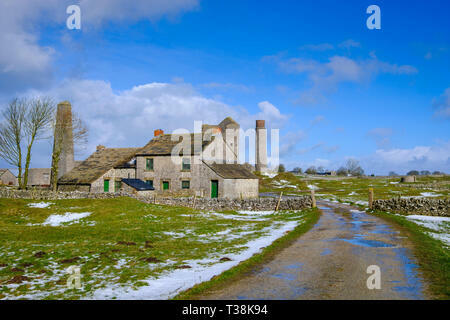 The Magpie Mine, was one of the most famous lead mines in the Peak District. 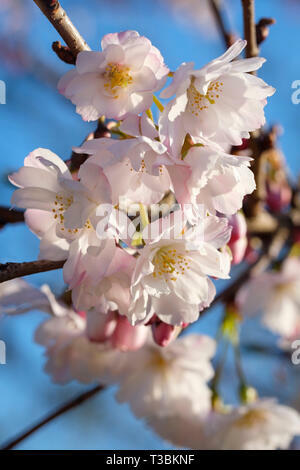 Spring flowers on Prunus x subhirtella autumnalis. 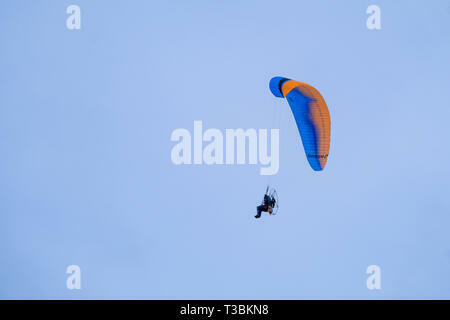 A motorised paraglider against a blue sky. 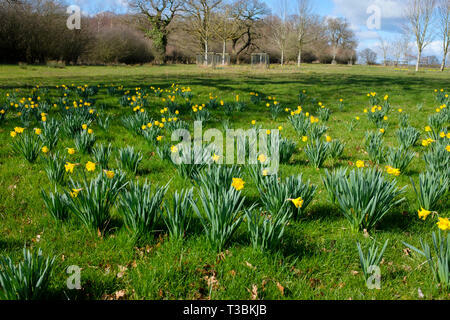 A field of daffodils planted for the charity Hospice Hope. 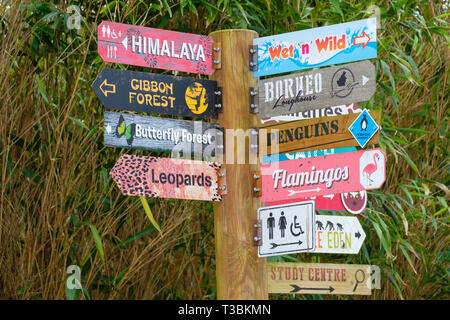 Signpost pointing out locations in Twycross Zoo. The moon rising behind a tree during a pink coloured sunset. 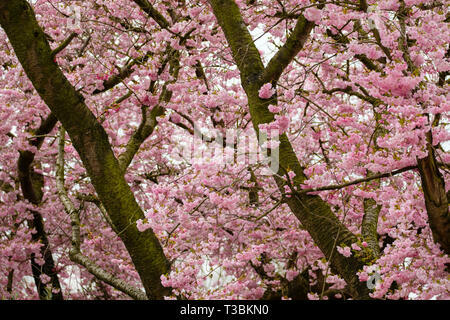 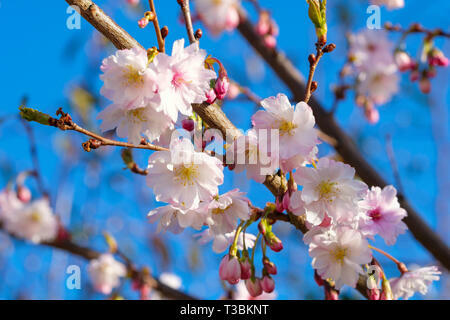 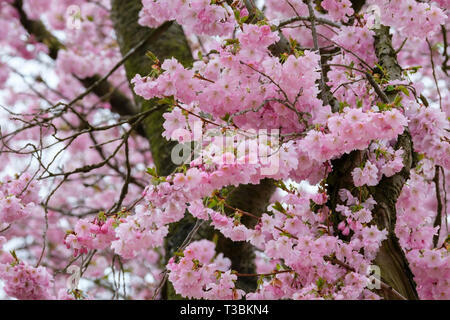 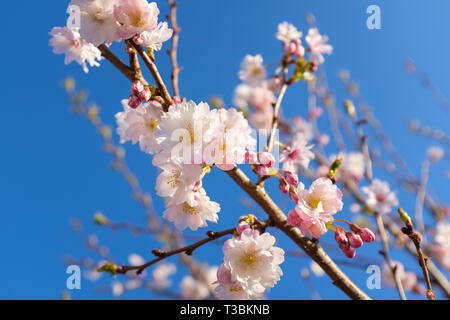 Cherry blossom brightens up a March day. 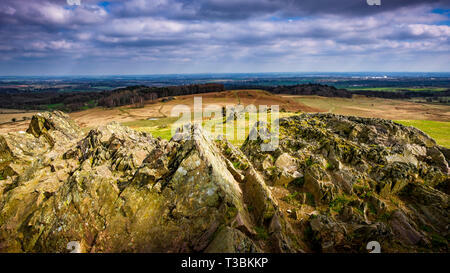 Topograph erected in Charnwood Forest to commemorate the coronation of Queen Elizabeth ll. 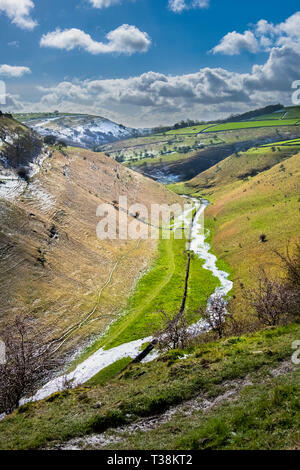 Chrome Hill is a limestone reef knoll on the Derbyshire side of the upper Dove valley it is commonly known as the Dragons Back. 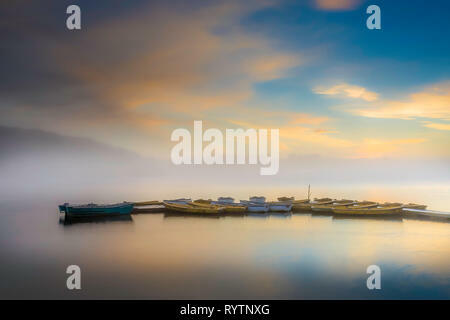 Anglers boats in dawn light at Thornton Reservoir, Leicestershire. 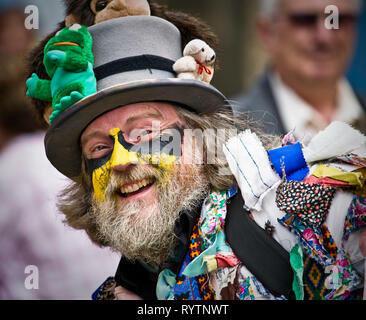 A Morris man at a festival in Lincoln. 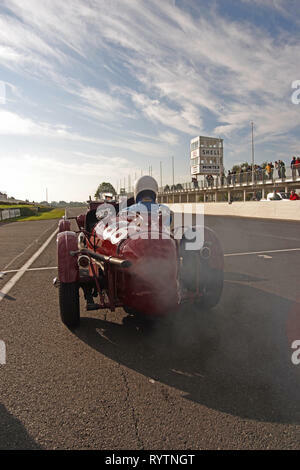 MG on the start line at a Vintage Sports-Car Club event at Goodwood. 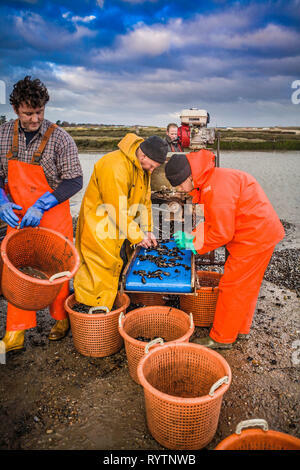 Fishermen preparing mussels on the hard at Brancaster Staithe, Norfolk. 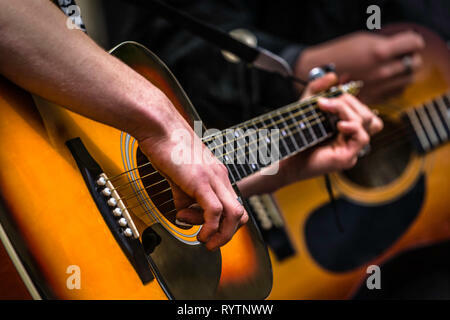 Guitarists at a busing festival in Lincoln. 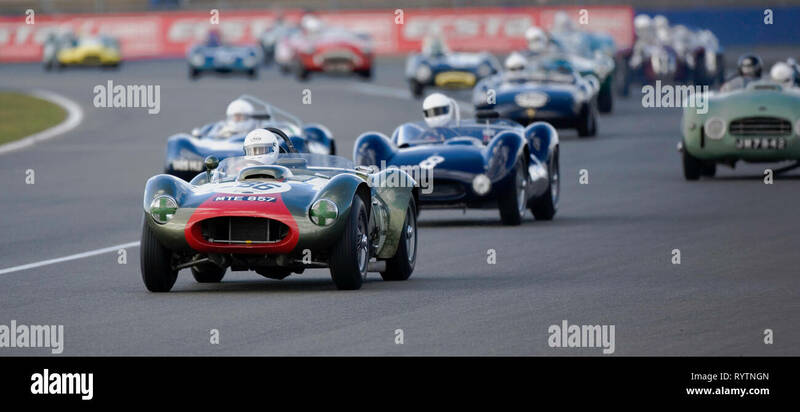 Farrellac leads the field - The Vintage Sports-car Club meet at Silverstone. 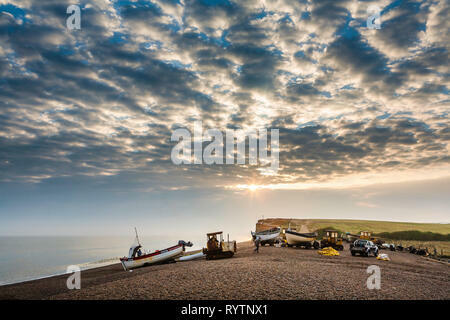 Fishermen on Salthouse beach in Norfolk prepare to launch just after dawn. 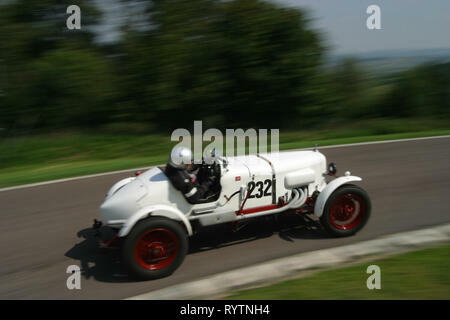 1921 Vauxhall 30-98 E Type Velox at Precott Hill climb with the Vinatage Sports-Car Club. 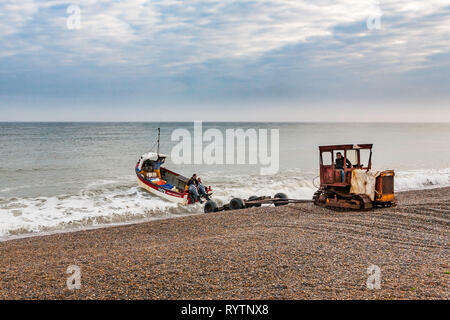 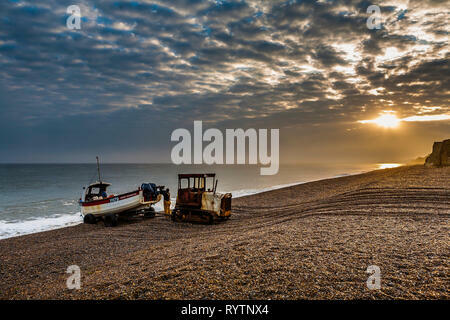 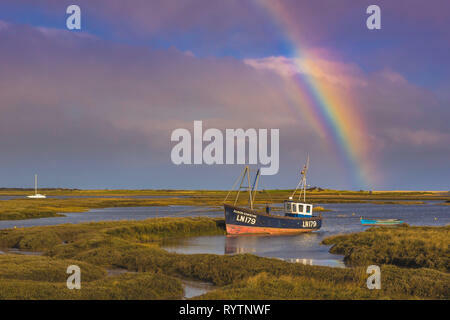 Fishermen on Salthouse beach, in Norfolk launch their boat just after dawn. 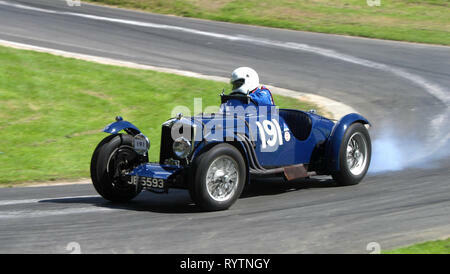 1935 Riley 12/4 TT Sprite replica competes with the VSCC at Prescott Hillclimb. 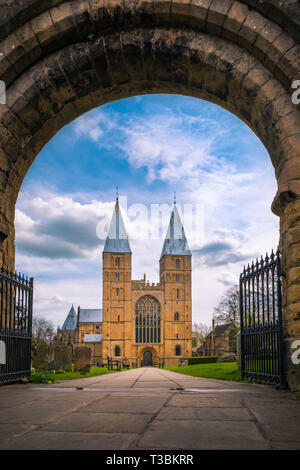 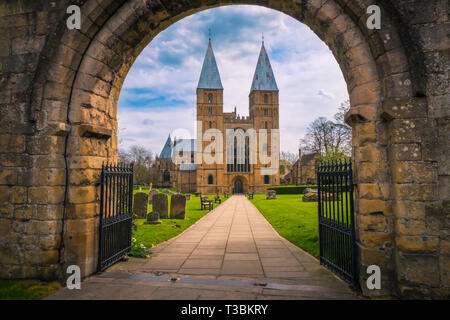 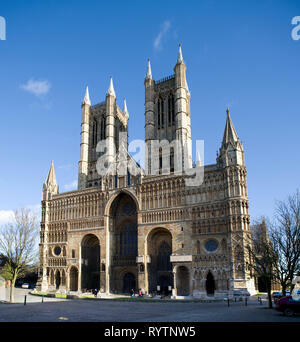 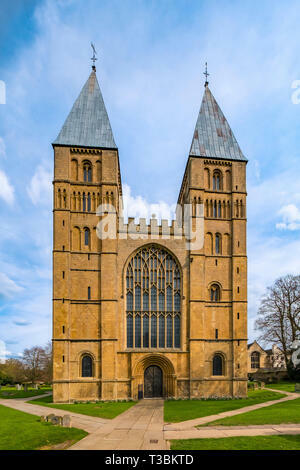 The main facade of Lincoln Cathedral, one of England's finest buildings. 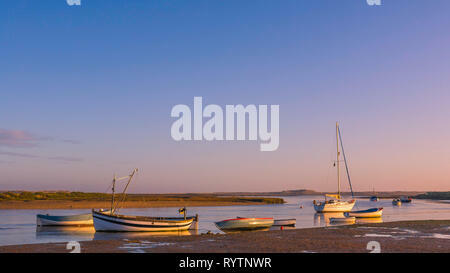 Burnham Overy Staithe, Norfolk at sunrise as the tide floods in. 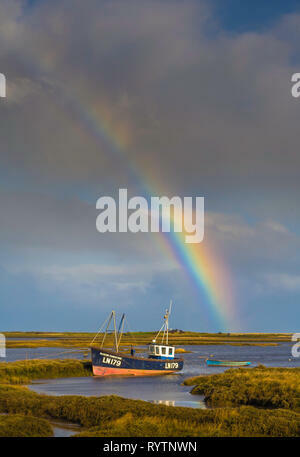 Fishing boat under a rainbow on a stormy day. 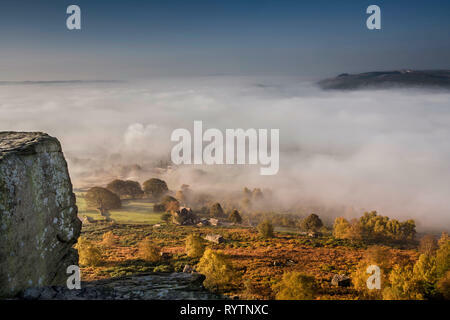 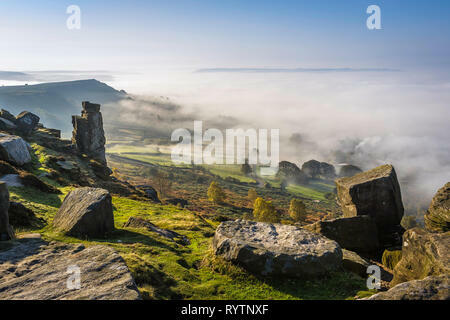 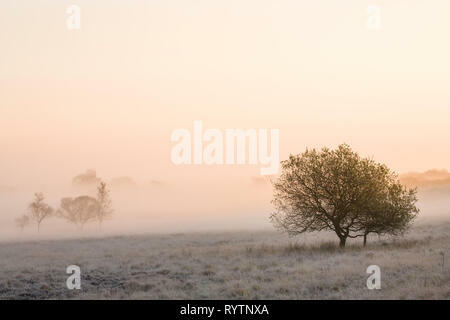 Trees on Derbyshire moorland on a misty morning at sunrise. 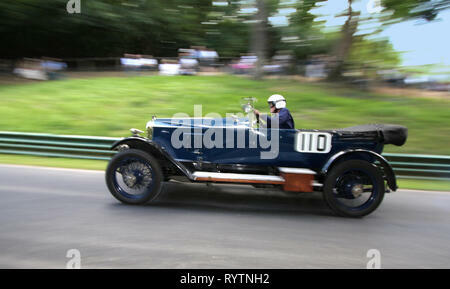 1926/30 Alvis at speed on Prescott Hill climb. 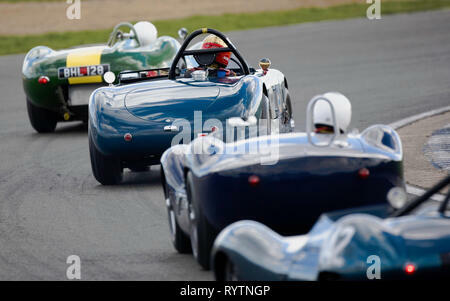 Lister Knobbly leads Allard J2R and other1950's sports cars - The Vintage Sports-car Club meet at Silverstone. 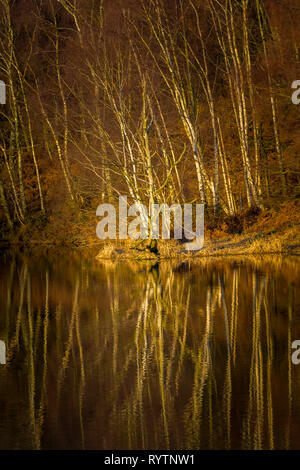 Silver Birch trees on the banks of Staunton Harold Reservoir, Derbyshire, on a winter evening. 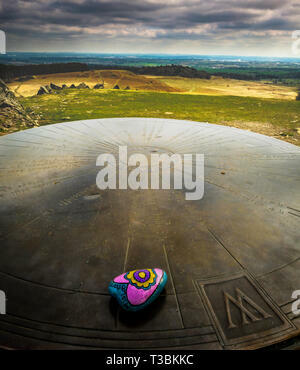 Part finished millstones lie abandoned at the top of Curbar Edge, Derbyshire. 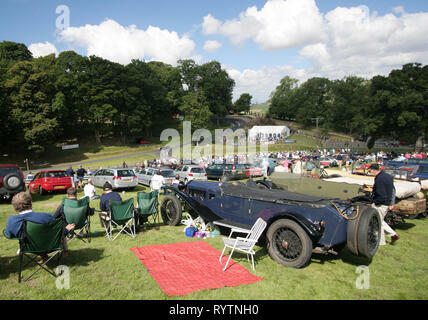 Spectators watch the action at the Prescott Hill Climb meeting of the Vintage Sports-Car Club. 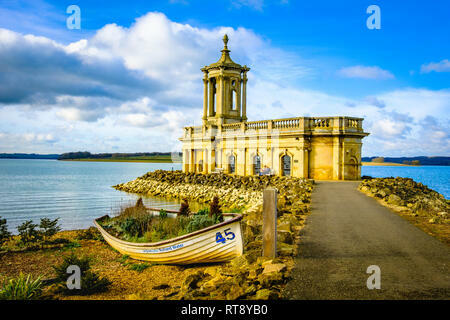 Normanton Church on the bank of Rutland water. 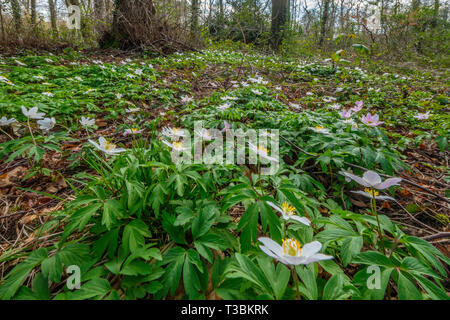 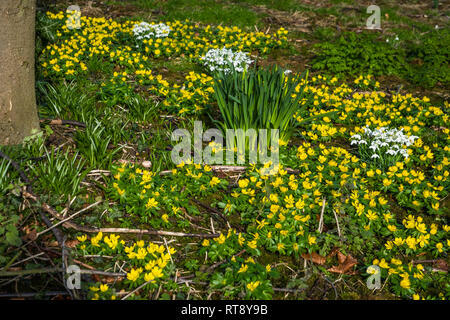 Winter Aconites and snowdrops flowering in an orchard. 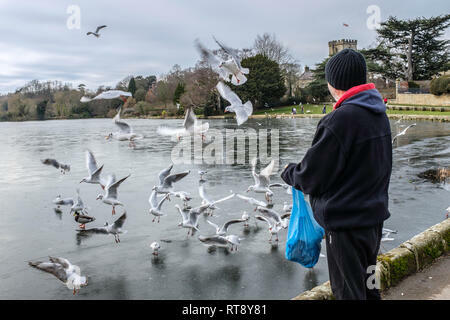 Feeding the birds at a frozen pool. 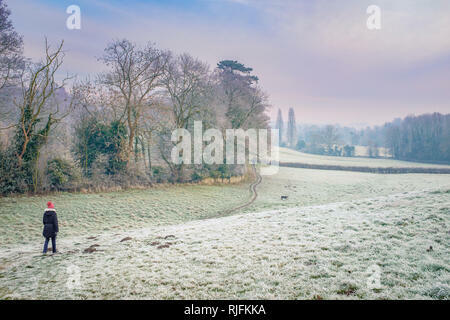 A woman walking a dog on a frosty morning. 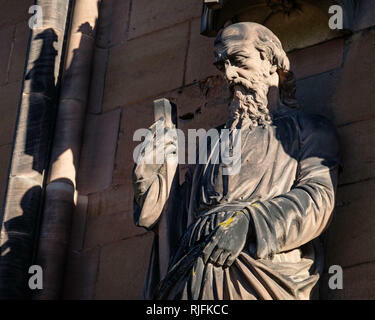 A statue of Saint Andrew one of the many ornate carved figures of kings, queens and saints around Lichfield Cathedral. 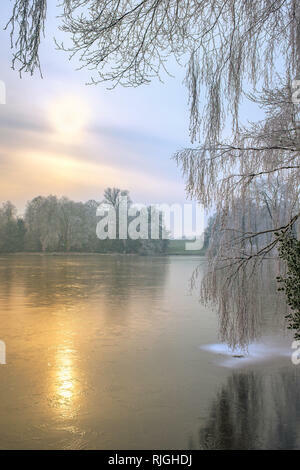 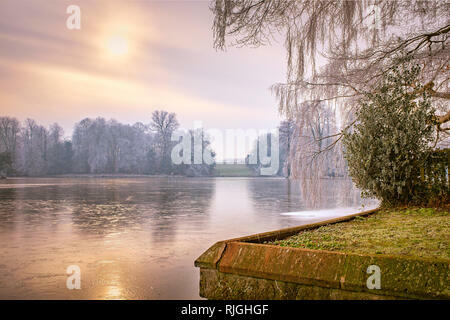 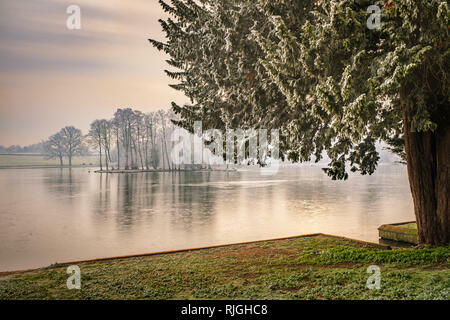 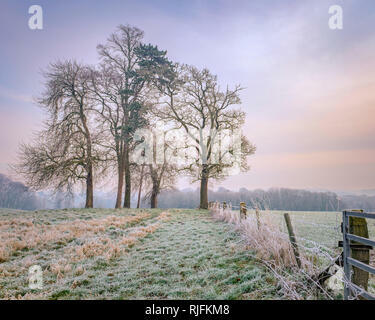 Melbourne pool in Derbyshire is frozen over after a heavy frost. 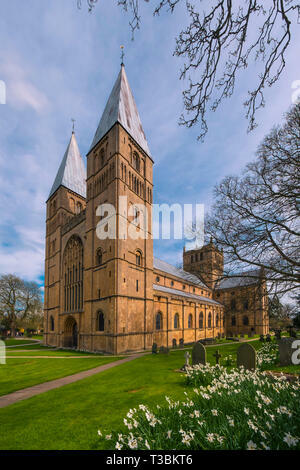 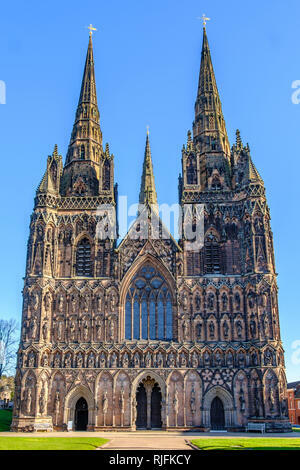 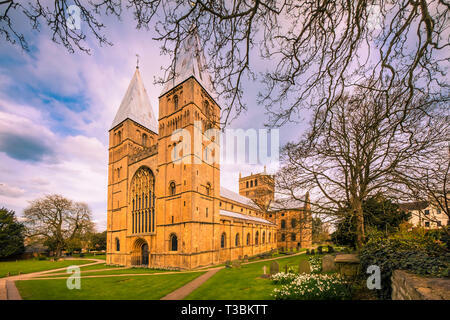 Lichfield Cathedral is the only medieval English cathedral with three spires. 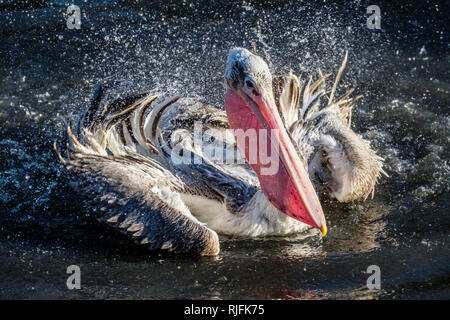 A Pelican splashing water to clean its feathers. 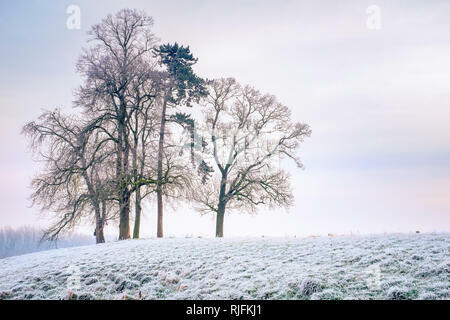 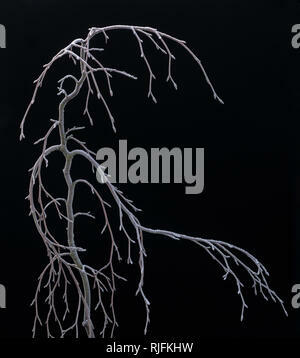 The skeleton of a weeping Beech tree covered in frost. 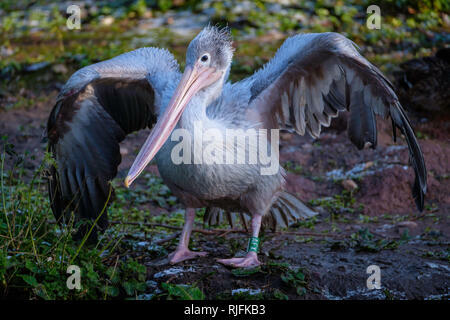 A Pelican holds its wings out to dry. 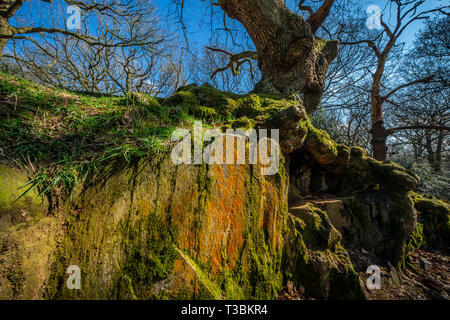 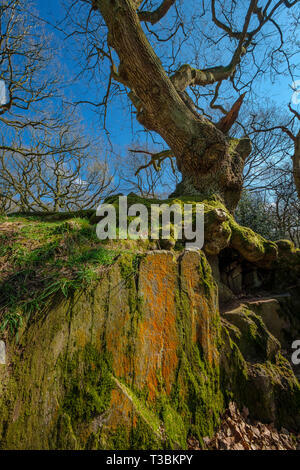 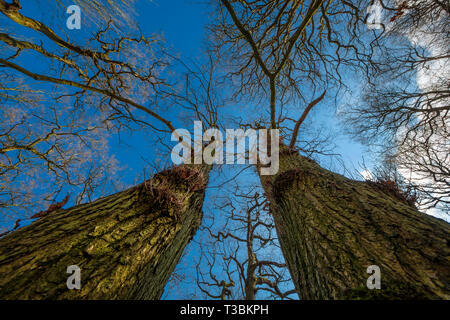 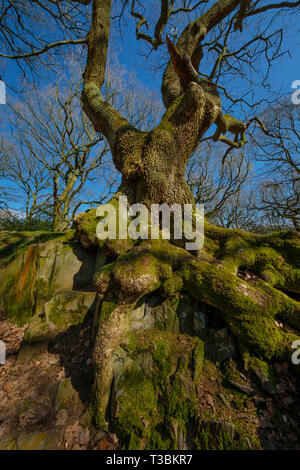 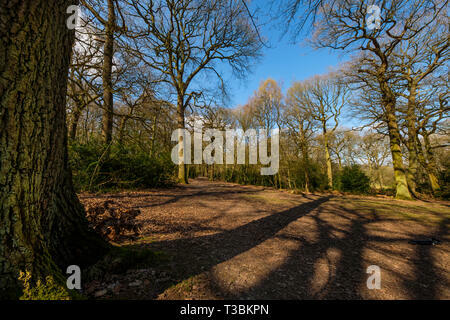 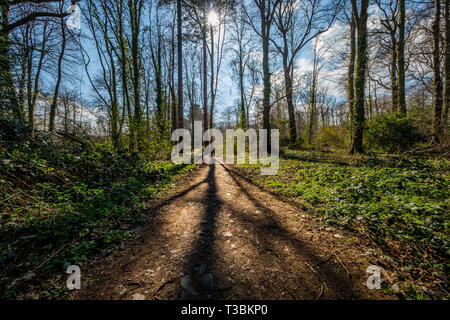 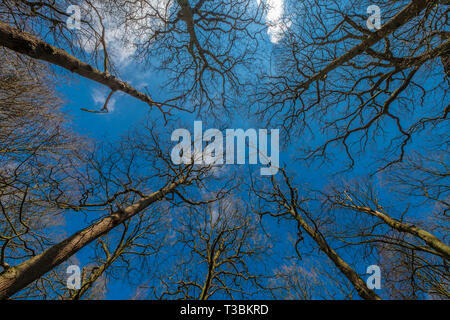 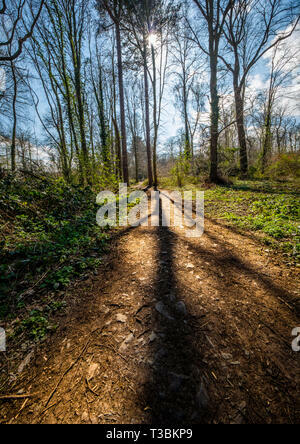 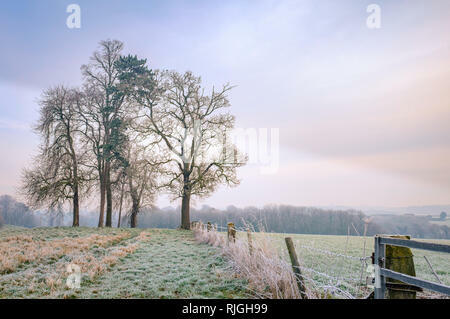 A small copse of trees on a Derbyshire hillside near Melbourne. 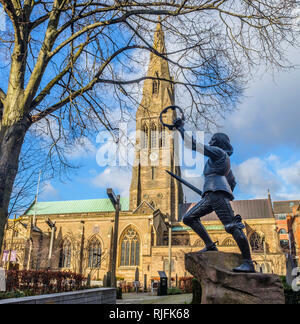 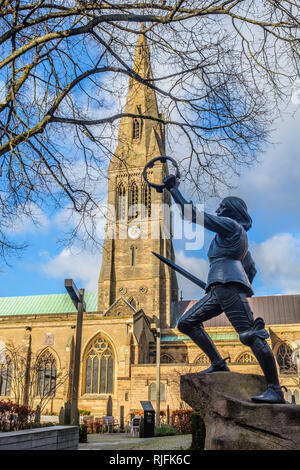 Statue of King Richard lll outside Leicester Cathedral. 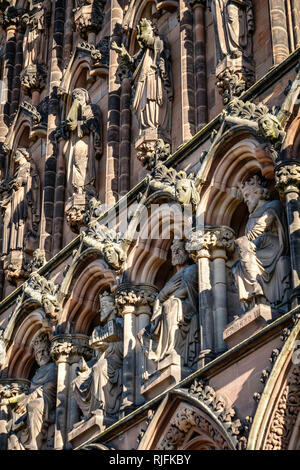 There are over 160 ornate carved figures of kings, queens and saints around Lichfield Cathedral. 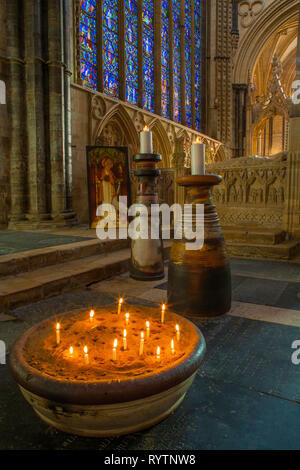 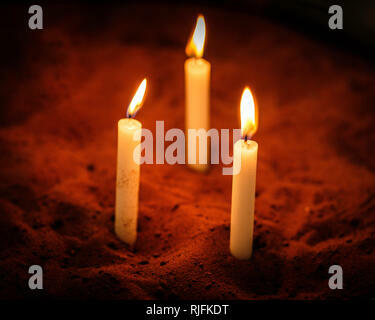 A votive candle or prayer candle is a small candle, typically white or beeswax yellow, intended to be burnt as an offering. 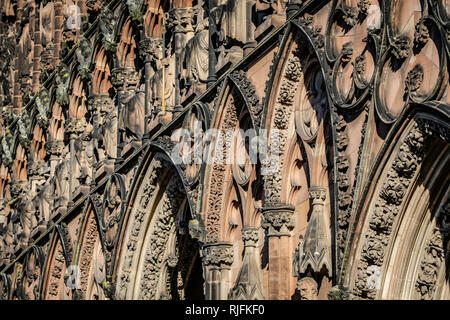 The front of Lichfield Cathedral is covered in ornate carvings. 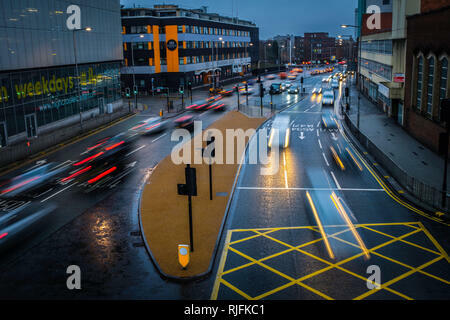 Traffic moving along wet city roads as night falls. 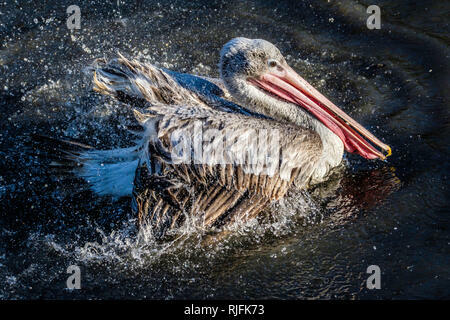 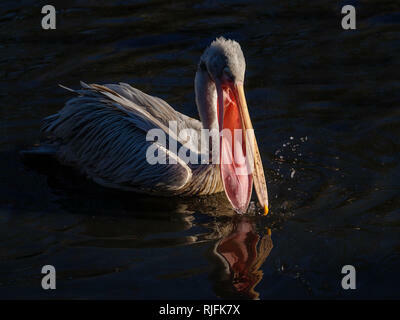 The Pelican has a very large beak pouch which it uses to catch and hold fish. 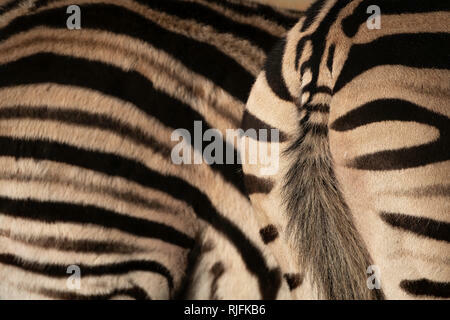 The stripes of a Zebra provide disruptive camouflage in the wild. 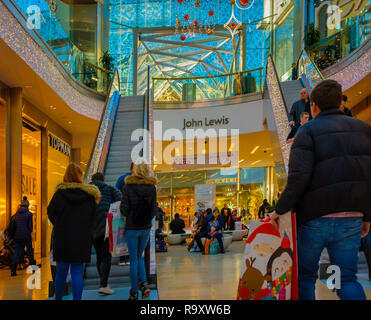 Shopping in the Highcross Centre in Leicester. 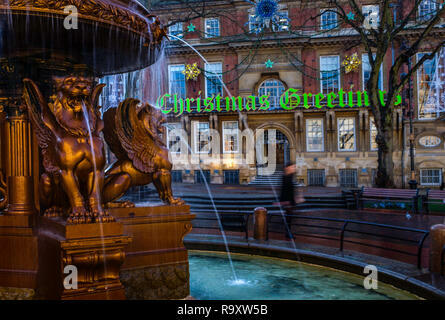 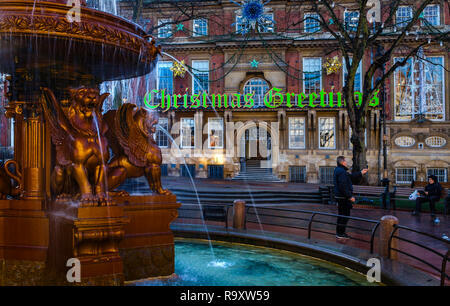 The fountain in town hall square Leicester. 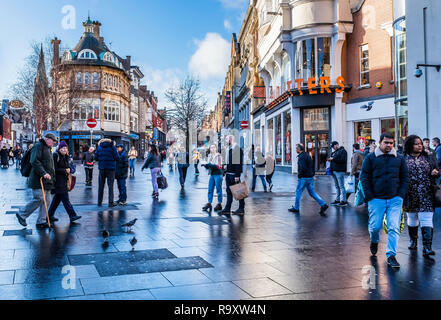 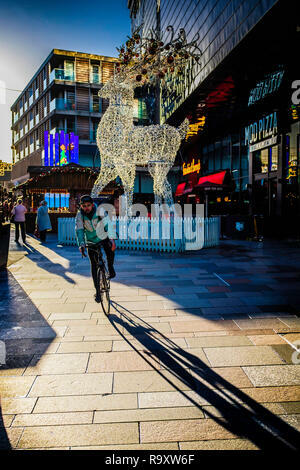 Shoppers in Leicester city centre. 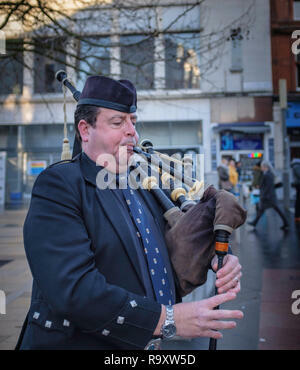 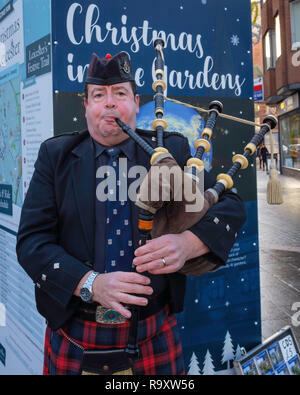 A lone piper busking in Leicester City Centre. 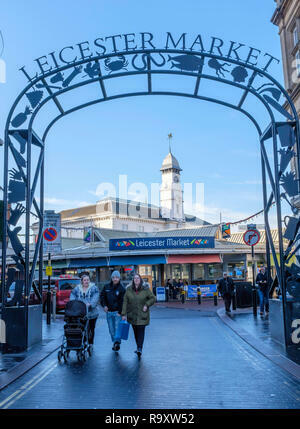 The entrance to Leicester Market. 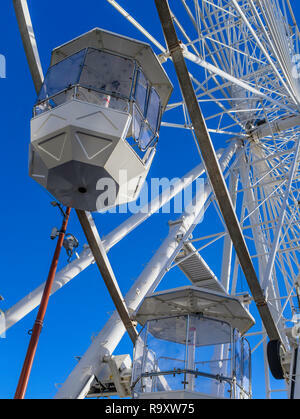 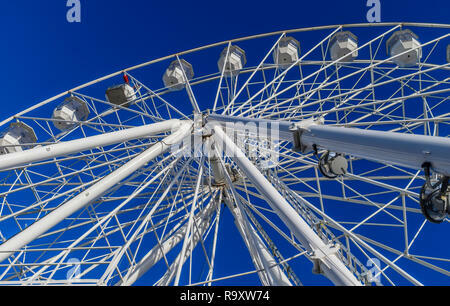 The big wheel in Leicester. 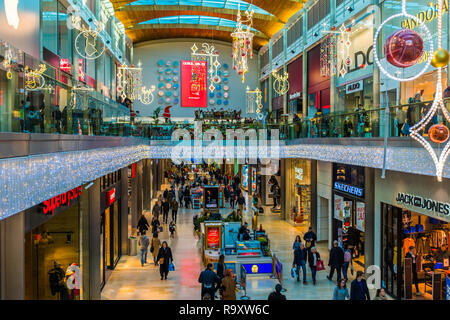 Christmas decorations in the Highcross Centre in Leicester. 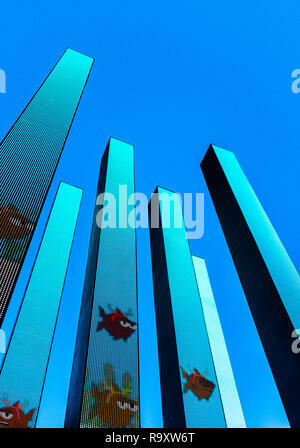 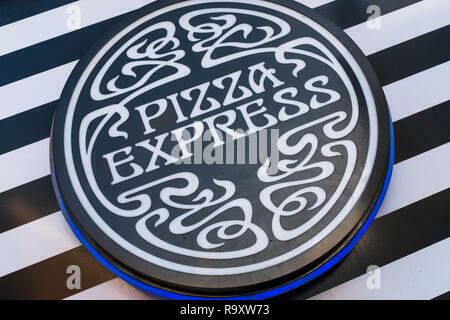 An illuminated artwork against a blue sky.